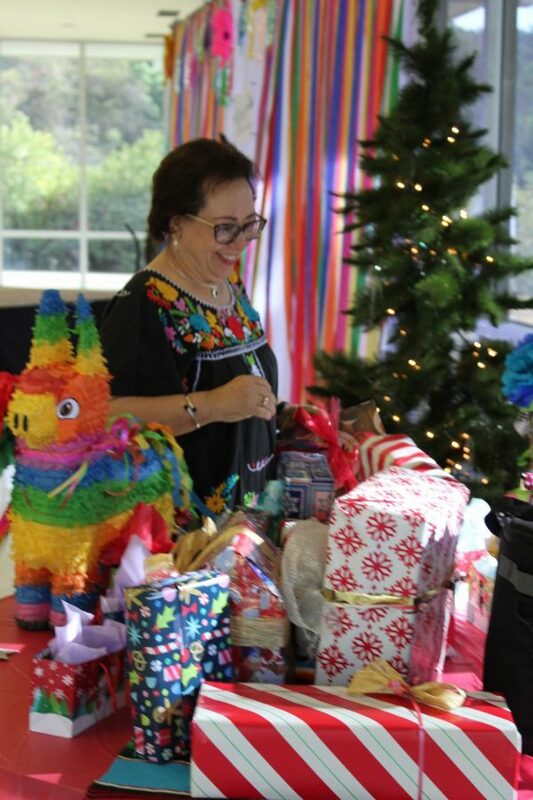 The Rio Hondo College Faculty Association and President’s office hosted the All Staff Holiday Luncheon “la Posada” at the Rio Campus Inn, where they treated the hard working RHC staff to lunch, prizes and entertainment, Thursday November 29. RHC’s luncheon treated the staff to food made by Juan’s Great Fiesta Mexican food, where they had a Pinata Breaking raffle as well as a Ballet Folklorico Dancer. 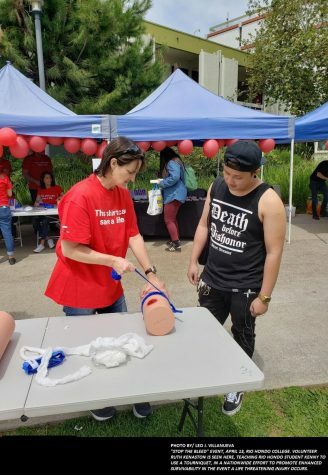 Opening remarks were made by Jill Pfeiffer, the RHC faculty Association President, who thanked all the volunteers of the event, introducing the RHCSA executive Officers, as well as acknowledging Nursing Retiree Gail Biesemeyer. Pfeiffer also specifically acknowledged the accomplishments of her staff, the donations to those who lost their homes to the paradise fires, as well as the current members of the RHC Faculty Association. The food consisted of tamales, chips, rice and beans and several other salsa’s and side dishes. The Folklorico Dancer is a member of the Esperanza Flores Folklórico, a group which strives to preserve the native dances of Latin Countries. The raffle gave it’s chosen the chance to break open a piñata, brought directly from Mexico, where all who failed were given a consolation prize. 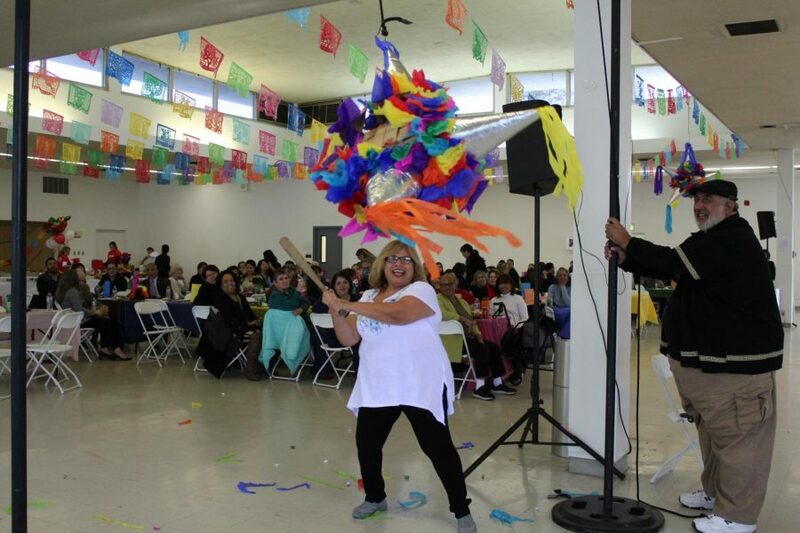 Volunteer Martha Mesa, Part of disabled students/ Student government, was the one to eventually break the piñata, since none of the raffle winners were able to break it open. The Campus in was decorated with bright colors, with papel picado lining the walls / ceiling, with small piñatas littering the tables. The theme this year was la Posada, which is Spanish for inn – which is an overall representation of the journey taken by Mary and Joseph from Nazareth to Bethlehem in the bible. 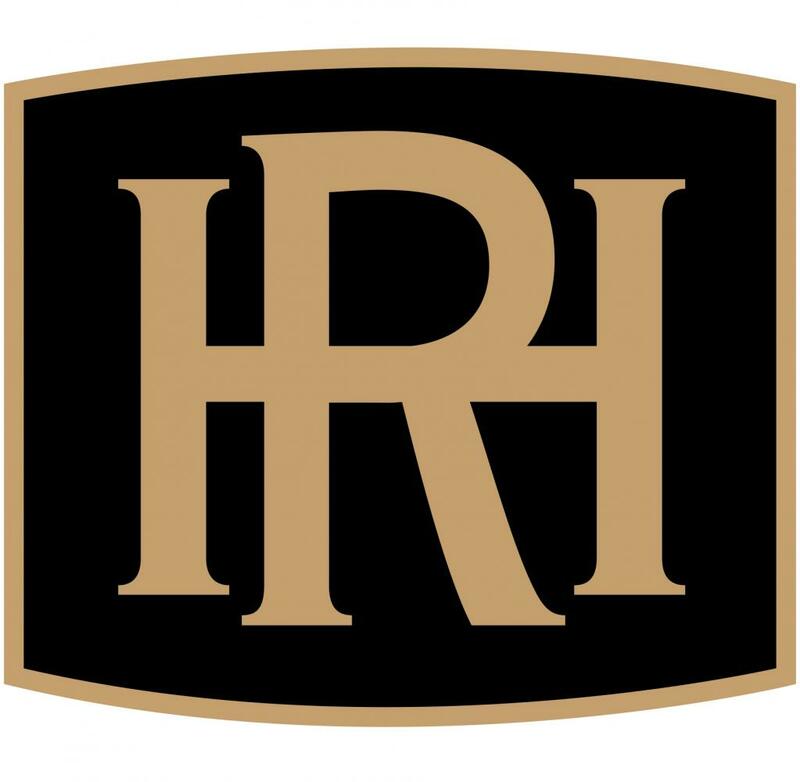 This event is basically one of the last major events of the 2018 RHC school year, proceeding the colleges finals week as well as its subsequent closing for the year.